Zur Herbst/Winter Saison 2017/18 gibt es neue Garne, die ich euch heute vorstellen möchte, viel Spass beim durchschauen. Bei Interesse schreibt mich einfach an: service@strickolino.com, dann schicke euch auch die Bilder in hoher Auflösung. For the autumn / winter season 2017/18 there are new yarns, which I would like to present to you today, have a lot of fun. If you are interested write me: service@ strickolino.com then i send you the pictures in high quality. 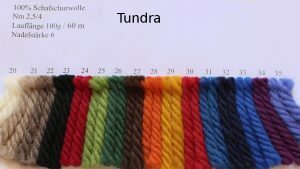 Für die vielen Freunde der extra kratzigen Wolle, können wir nun Ziegenhaar Wolle anbieten, grob und haarige, in einer großen Farbpalette wunderschöner Farben 50% Ziegenhaar/ 50% Schurẃolle. 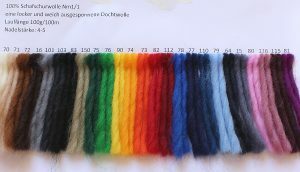 For the many friends of the extra scratchy wool, we can now offer goat hair wool, coarse and hairy, in a large color palette of beautiful colors 50% goat hair/ 50% virgin wool. Nordcap: Rustikales Dochtgarn das Lopi Wolle sehr änlich ist, im Griff aber etwas fester und rauer 100% Schurwolle. 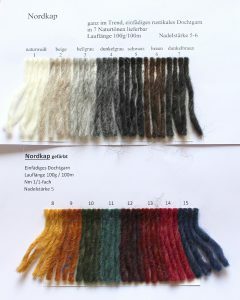 Nordcap: Rustic wicking yarn very similar to the Lopi wool, but slightly tighter and rugged 100% virgin wool. Oslo: Dieses dicke extrem weiche Dochtwollgarn entspricht unserer bekannten Polaris Wolle ergänzt aber die Farbpalette 100% Schurwolle. Oslo: This very thick, extremely soft wicking yarn corresponds to our well-known Polaris wool but complements the color palette 100% virgin wool. Dochtgarn: 100% Schurwolldochtgarn besonders weich in naturweiß und 13 klaren, kräftigen Farben. 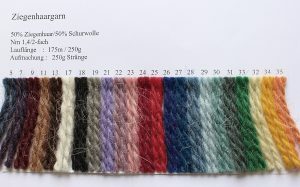 Wick wool: 100% virgin wick wool wonderful soft in natural white and 13 clear, powerful colors. 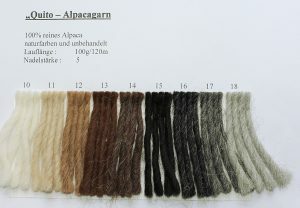 Quito: Dickes weiches unbehandeltes 100% Alpaca Dochtgarn in den typischen, schönen Alpaca Naturfarben. Quito: Thick soft untreated 100% Alpaca wicker yarn in the typical, beautiful Alpaca natural colors. 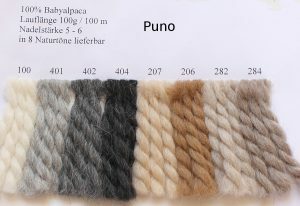 Puno: Baby-Alpacagarn in 8 Naturtönen: dunkelgrau, mittlelgrau, silbergrau, steingrau, schlamm, naturweiß, beige, kamelbraun und fuchsfarben. 100 % Babyalpaca. Puno: Baby alpaca yarn in 8 natural tones: dark gray, medium gray, silbergrau, pear, mud, natural white, beige, camel brown and fuchsia. 100% baby alpaca.